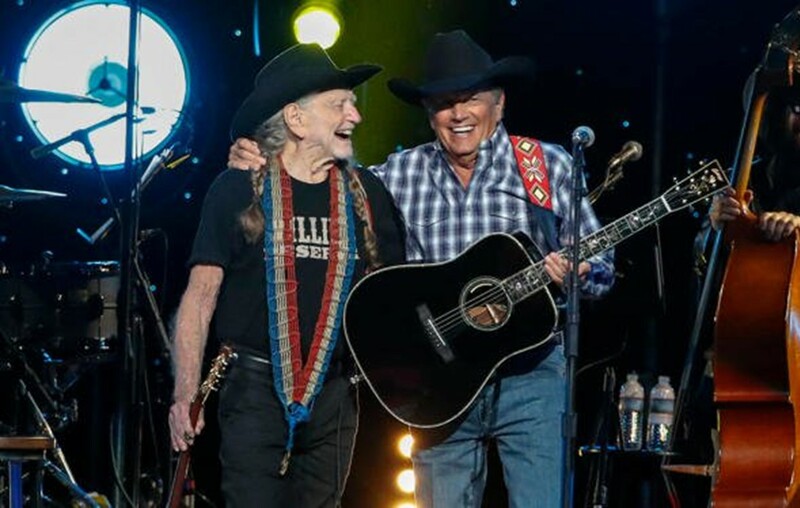 Listen to George Strait and Willie Nelson team up on "Sing One With Willie"! The song can be found on Strait's 'Honky Tonk Time Machine' album. Friday (March 29th) marked a big day for country music icon George Strait as he released his Honky Tonk Time Machine album which features a collaboration with fellow country music legend Willie Nelson called “Sing One With Willie.” The tune was written by the pair alongside Bubba Strait and Buddy Cannon. Listen to the official “Sing One with Willie” audio below! Share “Sing One With Willie” with other George Strait and Willie Nelson fans!